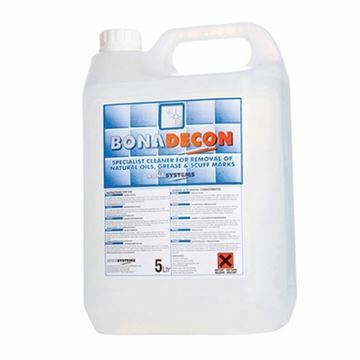 Dissolves and thoroughly removes grease and oil deposits, care product residues, soot and rubber marks. 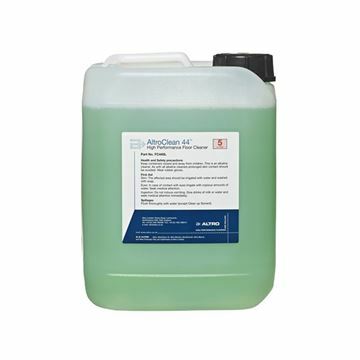 Altro Clean 44 is specially formulated to clean Altro Floors and Safety Flooring in all areas including kitchens, washrooms, leisure centres and high traffic public areas. It can also be used for the removal of worn coatings of seals and polishes on Altro Mondo & Altro Smooth vinyl floors. A specially formulated floor dressing and polish with a satin finish, which will help provide added protection and floor shine against scuffing and scratching. 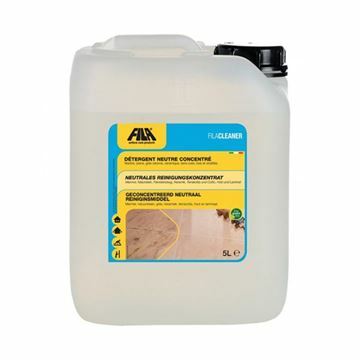 The floorcare dressing can be used to protect new or old Amtico floors. This includes vinyl, rubber and linoleum floors making it a great multipurpose floor dressing. 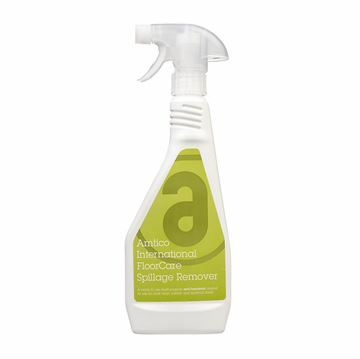 Amtico Floorcare Spillage Remover is an anti-bacterial spot cleaner that removes every day spills from Amtico Flooring and Spacia Flooring without the need to get the mop bucket out. 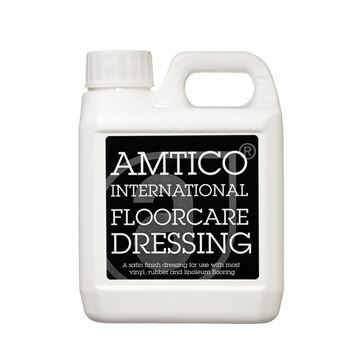 Specially formulated by Amtico International to make floorcare easier and more effective. 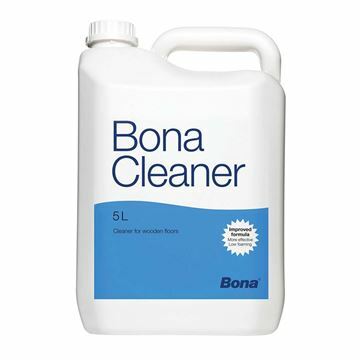 Keeping your brand new wooden floor in as tip-top a condition as when you purchased it does not have to be as arduous task as it may sound, especially if you happen to pick up a bottle of the super respected Bona Care Floor Cleaner. 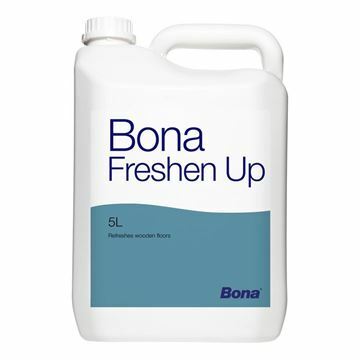 New formulation for powerful, low-foaming cleaning of sealed wooden floors. For use with autoscrubber or conventional cleaning methods. Neutral pH detergent which leaves no residue. Cleans and removes grease, soap, shampoos, scum, body oils, mildew, scuff marks, organic deposits and general surface dirt from areas that have been neglected. Revive your floors with this ready to use waterborne polyurethane maintenance coating for most finished and pre-finished wooden floors. 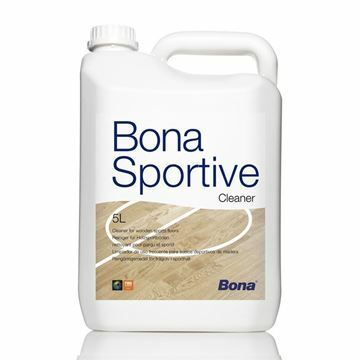 Bona Sportive Cleaner is a concentrated, slightly alkaline detergent, specifically designed for the frequent cleaning of finished wooden sports floors. 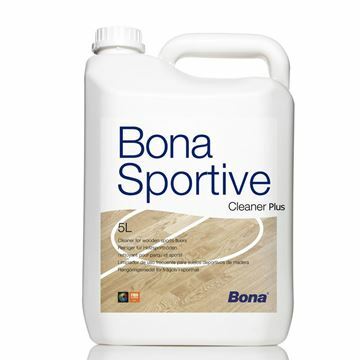 Bona Sportive Cleaner Plus is a concentrated alkaline detergent, designed for occasional cleaning of sports floors to remove the build-up of body fats from sweat and other contaminants. 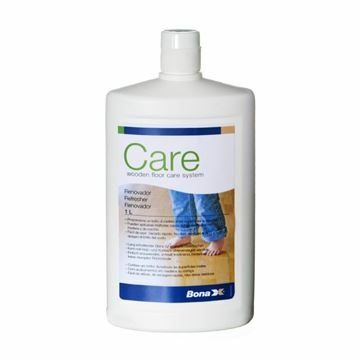 Universal floor cleaner, gentle and non-foaming, for all surfaces. 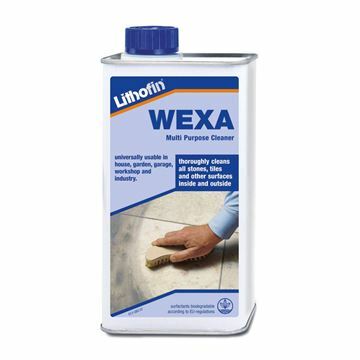 Used to clean stone, porcelain & ceramic tiles before and after fixing and for routine maintenance. 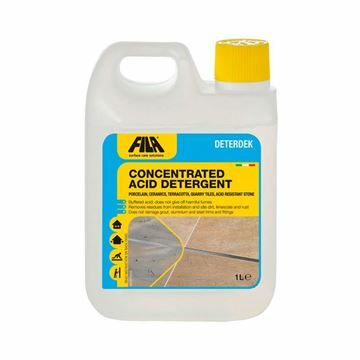 Fila Deterdek is an acidic floor cleaner perfect for use on a large variety of surfaces, providing quick and effective removal of stains, dirt and even grout residue. Because of its high concentrations of surfactants, Deterdek is also a great choice for descaling. See below for more information on why Fila Deterdek is the all-in-one cleaner floor cleaner for you!